There are some things which I just can’t stay quiet about, I try to not post random anime things here that isn’t really relevant to what my blog is about, so I refrain from post youtubes and the like. BUT THIS IS AN EXCEPTION! There’s another fanmade creation of Miku, Neru. I don’t know much of her but she dispises otaku, and refuses to sing and dance properly to spite the viewers. She has one ponytail to her left, yellow hair and black clothes with yellow trims. I’ll have to read up more on her as I’m not even sure if that’s accurate. This is soooo moe!!! I love the pics you found!!! 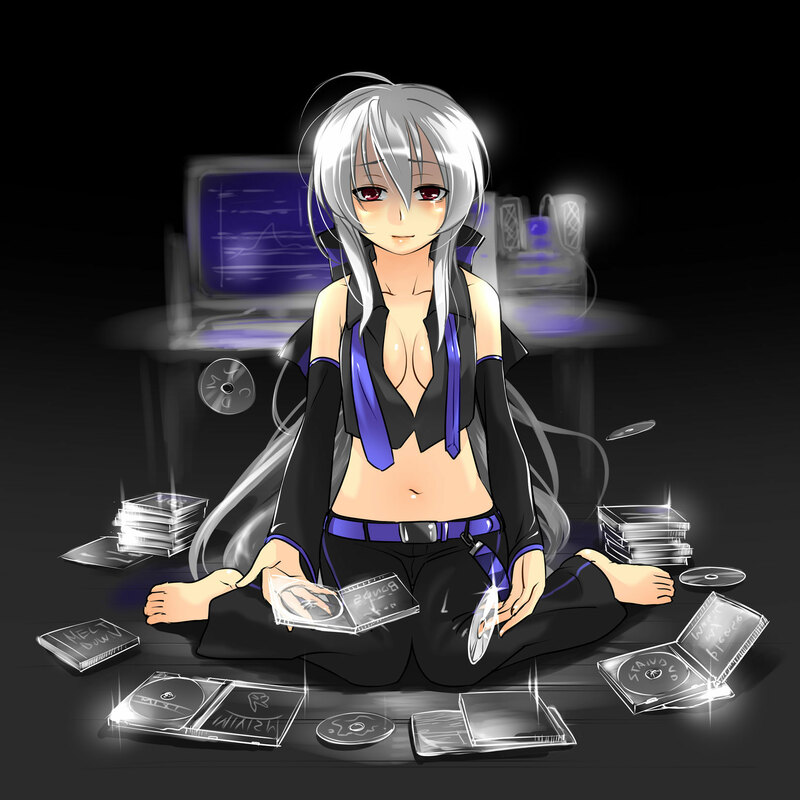 I so want to try Vocaloid!!! Apologize for this separate post. for neru.. anything that hate otaku is not good for me ._. Rin is still my favourite ^^. Now that i have cleared up my doubt on who are Haku and Neru, so who are the other 2 beside Rin and Len? @Samejima, her “singing” isn’t that great either =/ But yes, hugging is a thing that she makes you want to do. @misakichii, on the left is Meiko, on the right is Kaito, they were the first generation Vocaloids by Crypton. 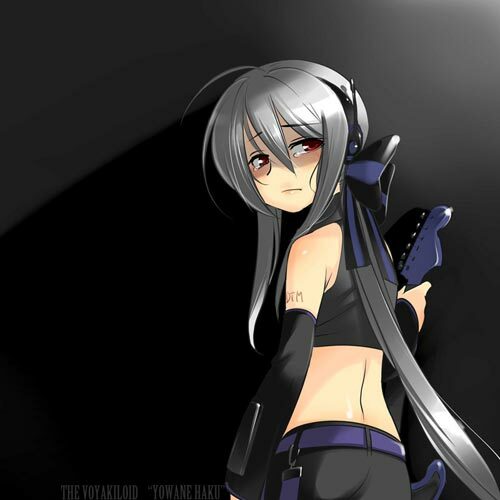 Tehyr’e getting more popular since Miku appeared. /jp/ sez hello, hope you can post more pics! 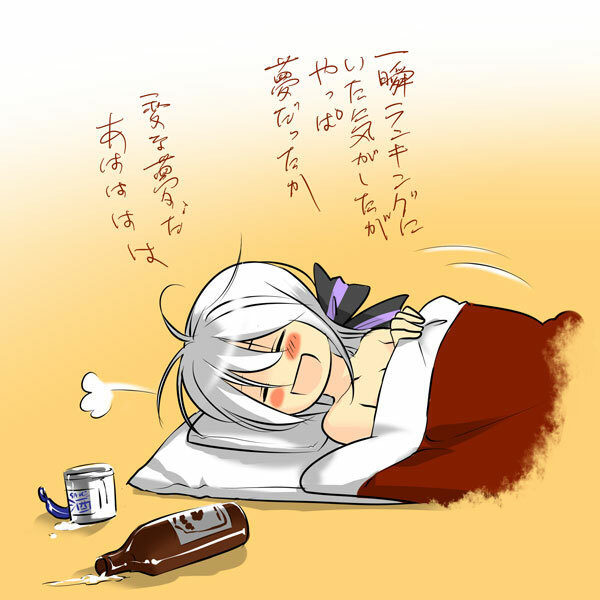 Awww… I feel sorry for Haku….. I thought Neru’s voice in that video was funny though, and that Carameldansen clip always makes everything better! I know how you feel man. I like depress women. Dont know why, but they are more interesting than the cheerful ones. I work as a bartender (well more like assistance actually, still kinda getting used to it) at my uncle’s bar. I think i have some kind of fetish for depress women. In the second picture, that group is called the Voyakiloid. The short, chibi Miku is Hatchune Miku. In the first picture the Black/Grey haired one is Zatsune.. The red-haired phantom (sp?) like-thing is Juon Kiku…dun know anything about her either.. 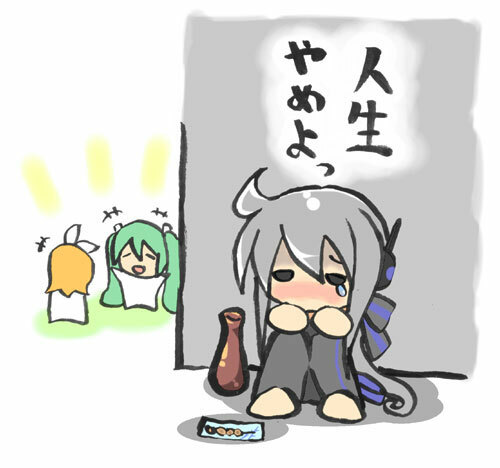 The Green haired one is Acme Iku…don’t know anything about her…. 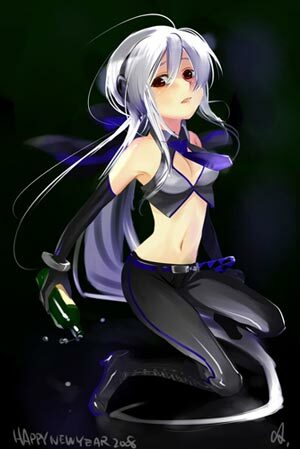 Acme Iku is the Vocaloid fanmade chara who create sound like in eroge..
Ugh, I played the new game and she was the first character costume thingy I unlocked. I think I might be a lesbian after reading all of this! 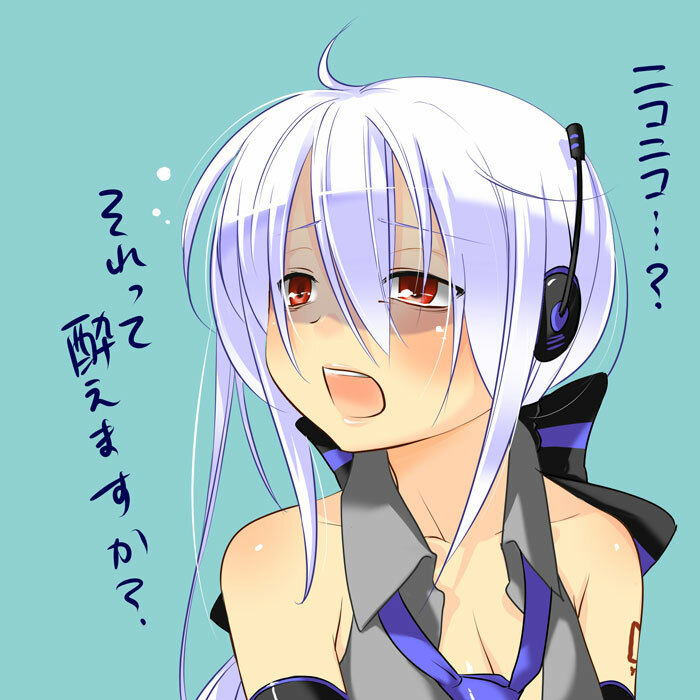 Aw poor Haku D: Haku is now my fav girl vocaloid now!!! Haku is a voyakiloid. she has no voice bank of her own but uses a specific set of settings of Miku’s VBs. She has official recognition by CFM along with Akita Neru. She was originally supposed to represent failed usage of Miku Hatusne songs. However since her initial creation she has been used to sing non fail mode songs as she has a lower frequency that the normally high frequency use of Miku. and because she is lower frequency than miku her psuedo english is more understandable as well.